Spring was a longed-for season in the middle ages. After the dark and cold of winter, the lengthening days, the increasing warmth of the sun, the first showing of fresh green growth and flowers, were all savoured. Spring was the time when Easter took place, one of the most important religious festivals in medieval times and also a celebration of new life and feasting after the long fasting of Lent. Spring was when many plants were gathered to make dyes for clothes, to transform gowns and robes. New leaves, lichens, flowers and mosses were all gathered. People would go walking in the woodland and meadows, relishing the time outdoors. Primroses, used to decorate church altars in May to honour the Virgin Mary, were seen as the first flowers of spring. 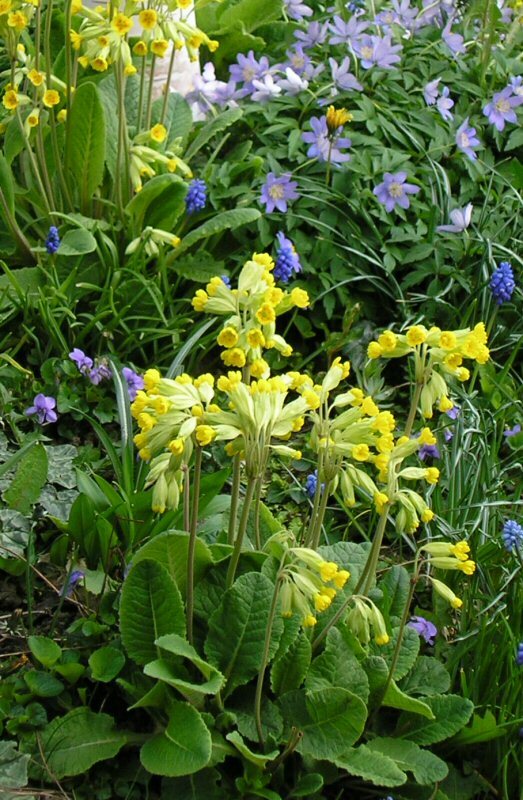 Later in spring, cowslips were gathered an made into balls by young women, keen to forecast the name of their future husbands by tossing the cowslip ball among each other while calling out men's names. When the ball fell at the feet of a girl, that could be a sign that Martha could be marrying a Tom later - and so on. Spring flowers were also used to flavour ale or wine or food - wild garlic could be used to make garlic sauce to add variety to the very bland diet of pottages. Herbs such as rosemary were made into posies, believed to help combat the plague. Daisies, prized for their whiteness, were also used in posies. To rid themselves of worms and other internal parasites, medieval people gathered spurge, and to supplement their sometimes meager diets men and women would gather young salad leaves from the hedgerows, such as salad burnet, sorrel, hawthorn shoots, wild radish, mint and more. 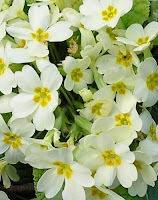 Spring was seen as a joyous season, much celebrated in poetry (my title comes from the same manuscript as the Carmina Burana), but I’ll leave that for another time. I've always said there was something to the medicial effects of plants and flowers. I think that's something we've lost in the modern day because it's so easy to pop a pill. Thanks so much for sharing. I'm looking forward "To Touch a Knight." Beautiful post - I so love to take in your history lessons! Lindsay, thanks for all wonderful knowledge. They had much smarter practices back then, in some ways, that in current times. I love flowers. Looks like people have loved flowers for a long time, and not just for their practical uses.